Satellite’s first all-sky image is the most detailed picture to date of the early Universe, giving us a better understanding of its birth. After years of work, scientists have removed bright foreground emissions from the Planck satellite’s first all-sky image to reveal the Universe’s earliest light – imprinted on the sky when the Universe was just 380,000 years old – and seen today as the Cosmic Microwave Background (CMB), the relic radiation from the Big Bang. 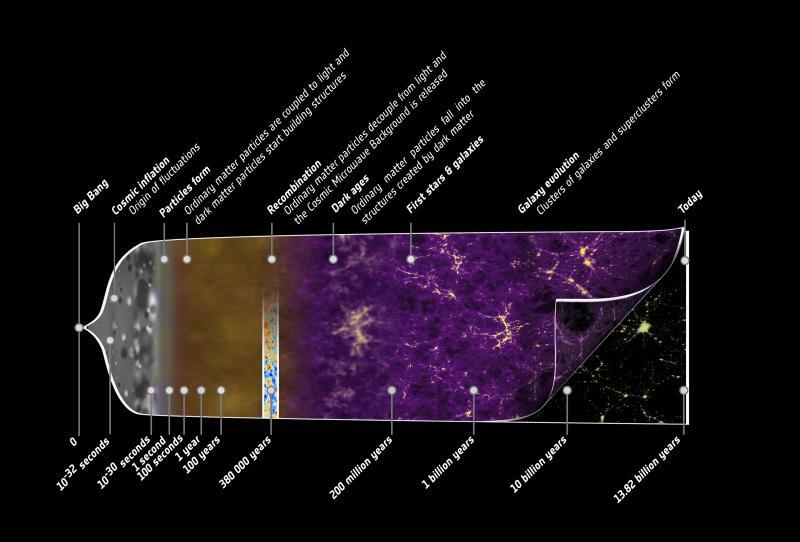 The results, released today, amount to the most detailed map of the CMB ever created, dating the Universe at 13.82 billion years old. Scientists say that Planck’s findings refine our knowledge of the Universe’s composition and evolution, and provide excellent evidence for the standard model of cosmology. Findings also show there is nearly a fifth more dark matter in the Universe than previously thought, but less dark energy. A series of scientific papers describing the new results have been published online. View Planck's history of the Universe here. The imaging is based on the initial 15.5 months of data from the European Space Agency’s Planck satellite, and was developed by researchers from the Cambridge Planck Analysis Centre at the University’s Kavli Institute for Cosmology, in collaboration with groups from Imperial College London and the University of Oxford at the London Planck Analysis Centre. The Planck map of the CMB shows tiny temperature fluctuations that correspond to regions of slightly different densities at very early times, representing the seeds of all future structure - the stars and galaxies of today. “The CMB temperature fluctuations detected by Planck confirm once more that the relatively simple picture provided by the standard model of cosmology is an amazingly good description of the Universe,” said George Efstathiou, Professor of Astrophysics and Director of the Kavli Institute for Cosmology at the University of Cambridge. Efstathiou will be giving a public talk on the findings this Saturday as part of the Cambridge Science Festival, where some of the first results from the Planck satellite will be on display. Planck gives us the most accurate values yet for ingredients that make up the Universe. Normal matter - stars and galaxies - contributes just 4.9% of the mass/energy density of the Universe. Dark matter, which has thus far only been detected indirectly by its gravitational influence, makes up 26.8%, nearly a fifth more than previously estimated. Conversely, dark energy, a mysterious force thought to be responsible for accelerating the expansion of the Universe, accounts for slightly less than previously thought, at around 69%. Planck data also set a new value for the rate at which the Universe is expanding today. At 67.3 km/s/Mpc, it is significantly different from relatively nearby galaxies, with the slower expansion implying the Universe is a little older than thought – 13.82 billion years. The researchers’ analysis also supports theories of ‘inflation’ – a brief but crucial early phase during the first tiny fraction of a second of the Universe’s existence. This initial expansion caused the ripples in the CMB that we see today, and explains many properties of the Universe as a whole. While predominantly reinforcing our standard model of cosmology, the unprecedented precision of Planck’s map reveals some unexplained features that scientists say might require a new physics to be understood. Fluctuations in the CMB over large scales do not match the standard model, an anomaly that adds to those from previous experiments such as an asymmetry in the average temperatures on opposite hemispheres of the sky. One possible explanation might be that the Universe is in fact not the same in all directions on a larger scale than we can observe, so the light rays from the CMB may have taken a more complicated route through the Universe – resulting in some of the unusual patterns observed today. “Our ultimate goal would be to construct a new model that predicts the anomalies and links them together. But these are early days; so far, we don’t know whether this is possible and what type of new physics might be needed. And that’s exciting,” said Efstathiou. “By analysing these extraordinary data collected by Planck, we have been able to set the most precise constraints so far on the small number of parameters that we need to characterise the standard model,” he added. The Cambridge Planck research team will be exhibiting and talking about their results at the Royal Society Summer Science Exhibition, 2-7 July 2013. Colleagues from the Kavli Institute for Cosmology presented work at last year’s exhibition exploring the large ground-based telescope ALMA, in the Atacama Desert of Chile. Both the ALMA and Planck displays will be at the Kavli Institute for Cosmology as part of the Cambridge Science Festival this weekend. Dozens of free activities include talks, demonstrations and hands-on experiments for everyone to learn more about Astronomy and research at Cambridge. 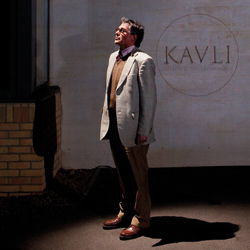 Planck research scientist Professor George Efstathiou’s talk, entitled The birth of the Universe - the first results from the Planck satellite, will take place at 4pm on Saturday 23 March in the Sackler Lecture Theatre at Cambridge’s Institute of Astronomy. The Cosmic Microwave Background (CMB) is leftover radiation from the Big Bang that fills the entire Universe - the furthest back in time we can explore using light. When the Universe was born, nearly 14 billion years ago, it was filled with hot plasma of particles (mostly protons, neutrons, and electrons) and photons (light). For roughly the first 380,000 years, the photons were constantly interacting with free electrons, meaning that they could not travel long distances - rendering the early Universe opaque, like being in fog. As the Universe expanded, it cooled, and the fixed amount of energy within it was able to spread out over larger volumes. After about 380,000 years, it had cooled to around 3000 Kelvin (approximately 2700 ºC). At this point, electrons were able to combine with protons to form hydrogen atoms, and the temperature was too low to separate them again. In the absence of free electrons, the photons were able to move unhindered through the Universe: it became transparent. Over the intervening billions of years, the Universe has expanded and cooled greatly. Due to the expansion of space, the wavelengths of the photons have grown - or ‘redshifted’ - to roughly 1 millimetre and their effective temperature has decreased to just 2.7 Kelvin, or around -270ºC, just above absolute zero. These photons fill the Universe today (there are roughly 400 in every cubic centimetre of space) and create a background glow that can be detected by far-infrared and radio telescopes.